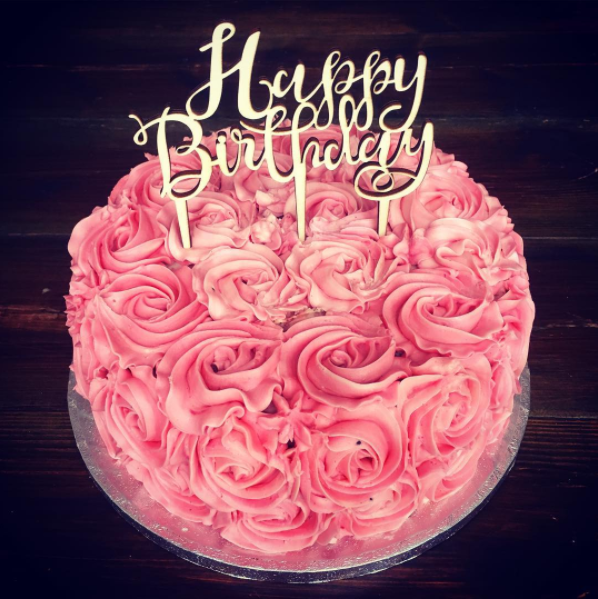 Chocolate or vanilla sponge cake with dairy free buttercream roses and happy birthday message decoration. 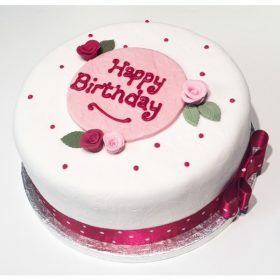 Just let us know the date of delivery requested in the Customer Note Field on Checkout! 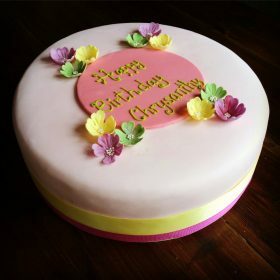 Chocolate or vanilla sponge cake with dairy free buttercream. 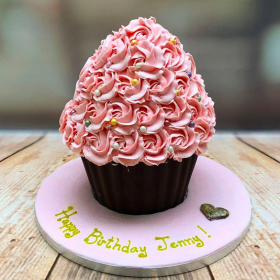 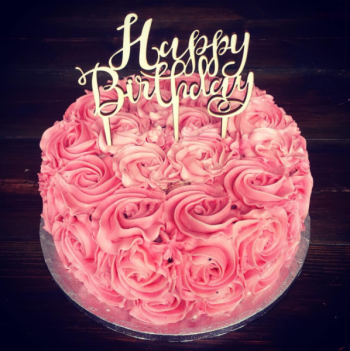 Just let us know the date of delivery requested in the Customer Note Field on Checkout and whether you’d like the frosting roses in a particular colour!